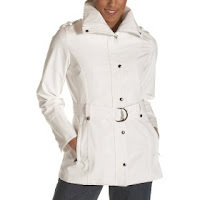 Pennies In My Pocket Blog: Amazon Friday Sale! I know I've been mentioning Christmas gifts already, but I say you get this one for yourself! ;-) The KitchenAid Artisan 5-Quart Stand Mixers comes in many fabulous colors along with FREE Super Saver Shipping! It's 34% off regular price of $349.99, now $229.99! Check out the Special Offer available with it as well! Now, I can't really do caffeine, but I know that many of you do. Here's the DeLonghi EC155 Espresso Maker list price was $140, but today is 36% off for $89.99 with FREE Super Saver Shipping plus this one has a Special Offer as well! OK, this is clever! Toast a muffin and cook up and egg at the same time! This would be a great gift for that multi-tasking chef on your list! 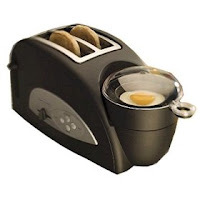 haha Who needs Mickey D's when you got this Egg-and-Muffin 2-Slice Toaster and Egg Poacher It was $49.99 and is 50% off today for $24.99 with FREE Super Saver Shipping (that's just the price of a few Egg McMuffins!) This one has a Special Offer, too. WOW! Wish I saw this when I bought my ottomans! This is a fabulous deal! Double Storage Ottoman with Tray Tables were $299.99 and are 72% off for $84.99 plus FREE Shipping and another Special Offer! Comes in black or for a little more, in brown also. Not much need for this in the desert where I live, but I know how important they can be in other parts of the USA ... La Crosse Technology WS-7025U Wireless Weather Station was $74.95 and is 65% off for $25.99 with FREE Super Saver Shipping and like the others it has a Special Offer. OK, that's all the time I have folks. Be sure to check out the rest of the goodies on sale at the Amazon Friday Sale! I have never seen or heard of an Egg and Muffin toaster poacher! That's a great idea! My kids would love having egg mcmuffins everyday! That jacket is da bomb.